STMicroelectronics, represented in Australia by Braemac , has introduced a monolithic IC that includes two comparators and a shunt voltage reference. 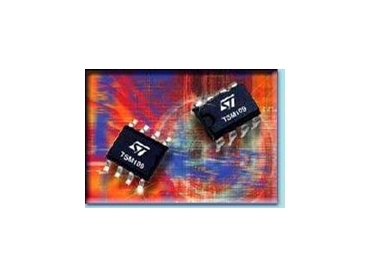 The TSM109 offers space and cost savings in applications such as power supplies and data acquisition. The comparators in the TSM109 work from a supply voltage of ±1V to ±18V and have ESD protection up to 1.5kV. The comparators draw a supply current of 1.1mA, independent of the supply voltage, and need an input bias current of 25nA (typ). The input offset voltage is ±1mV (typ). The input common-mode voltage range includes ground. The output saturation voltage is 250mV (typ), at an IO of 4mA and the differential input voltage range is equal to the supply voltage. The voltage reference offers a fixed Vref of 2.5V, with 0.4% and 1% voltage precision and will sink between 1mA and 100mA of current. The parts are available in an 8-pin plastic DIP or an SO8 package.